Is economic life really zero-sum? “Imagine a country with two rules: first, every person must spend eight hours a day giving themselves strong electric shocks. 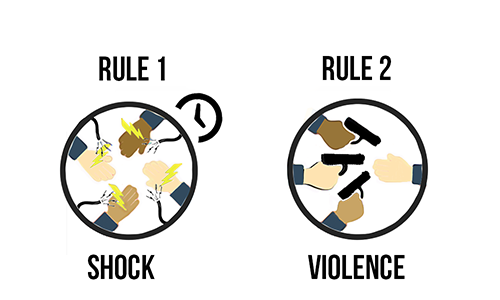 Second, if anyone fails to follow a rule (including this one), or speaks out against it, or fails to enforce it, all citizens must unite to kill that person. Suppose these rules were well-enough established by tradition that everyone expected them to be enforced. So you shock yourself for eight hours a day, because you know if you don’t everyone else will kill you, because if they don’t, everyone else will kill them, and so on. Every single citizen hates the system, but for lack of a good coordination mechanism, it endures. From a god’s-eye-view, we can optimize the system to “everyone agrees to stop doing this at once”, but no one within the system is able to effect the transition without great risk to themselves. Bitcoin has successfully demonstrated the concept of trust minimized, decentralized trade networks through working software technology. A growing ecosystem of trade networks with new configurations has been enabled by the Bitcoin solution. Some hypothesize that blockchain based governance and contract technology provides a cooperate-cooperate solution for many open trade network designs. 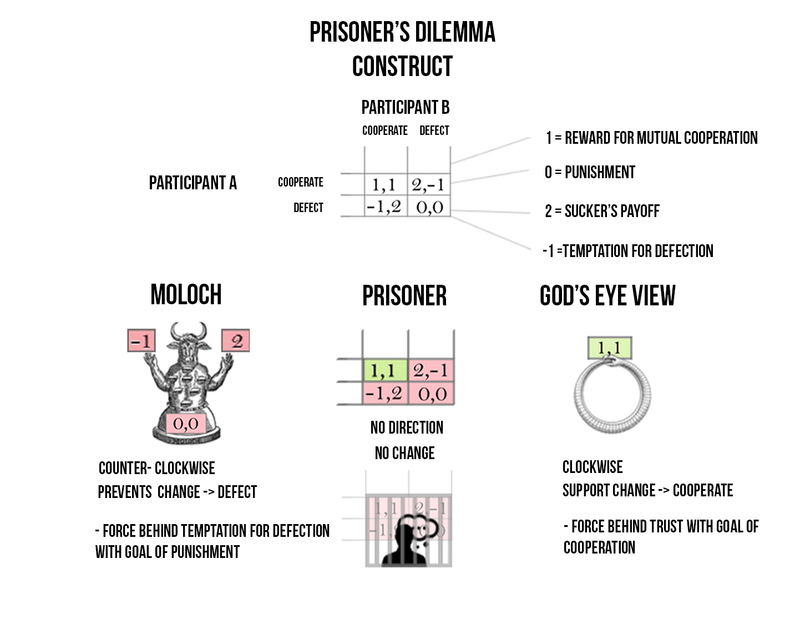 The prisoner’s dilemma construct is often used to model economic trade structures and concomitant incentive design choices in game theory frameworks. 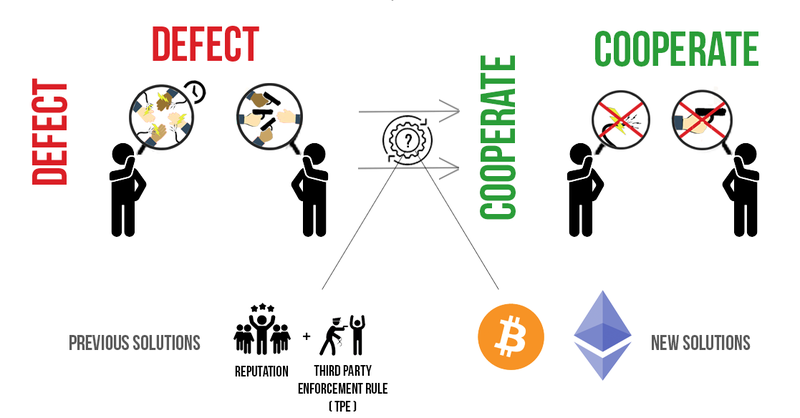 The two previous solutions for providing trust to enable trade between strangers have been (a) Reputation and (b) the Third Party Enforcement Rule, each formed due to the existing constraints of the geometries of the costs of coordination. The introduction of a third category of solutions means the supply and demand equation for the creation and operation of global trade networks and monetary systems has changed at a fundamental level. Fiat incentive design makes the system self-perpetuate even though the design is bad for users. The reason for that is the costs of coordination required to effect a change. 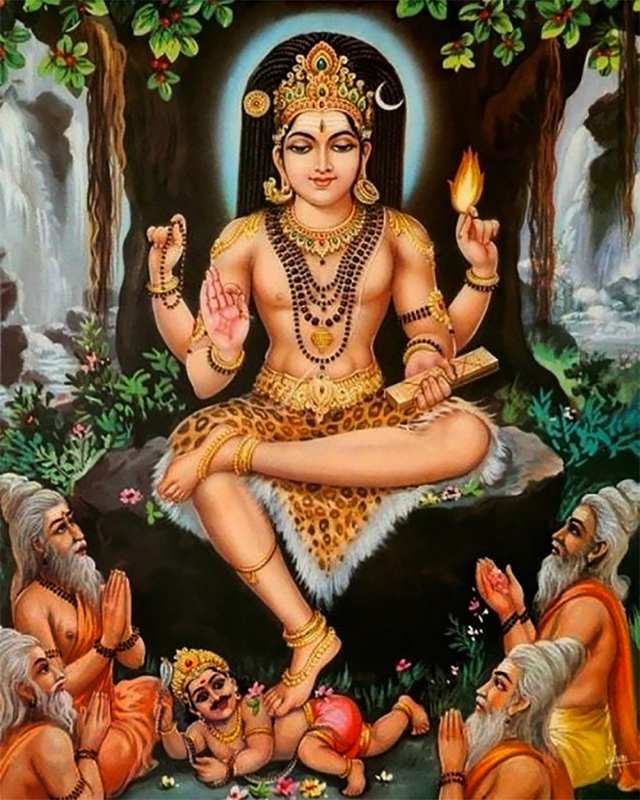 Thus, transitioning into a new category of solutions presents a socially scalable coordination problem of overcoming the incentive design of the incumbent Moloch. The costs of coordination then comprise the logical economic primitive that undergirds the ontology of the prisoner’s dilemma construct. Incentive design is about adjusting the costs of coordination to achieve a goal. The Bitcoin solution has made it possible to lower the costs of coordination by orders of magnitude. 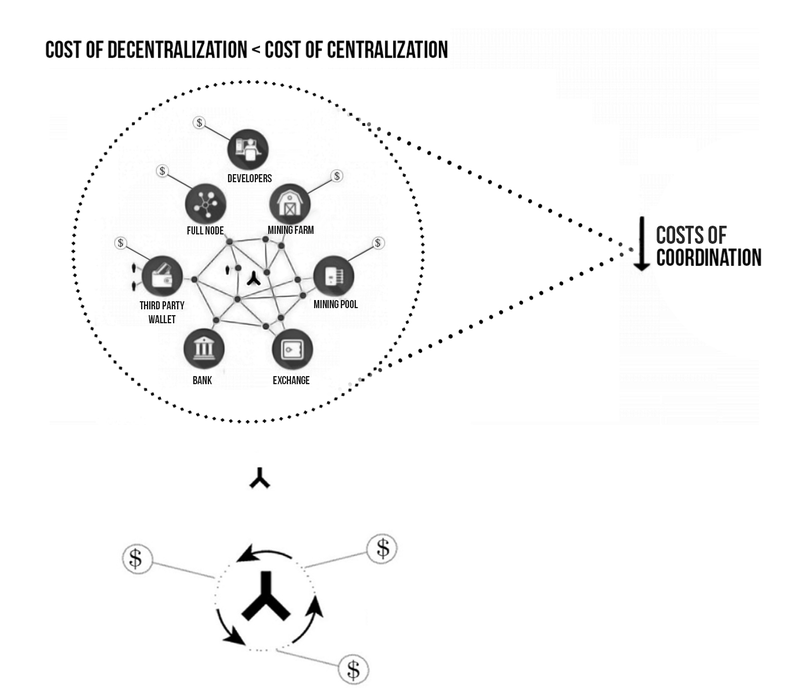 As a result, the costs of decentralization (or cooperate-cooperate open source consensus states) can now be far less than the costs of centralization (or defect-defect third-party enforcement rule states). User created incentive design choices that are socially scalable for trade and cooperation may now be introduced into adversarial environments at relatively low cost. This can be achieved without necessary reliance on the geometry of the third-party enforcement rule for successful meme replication. Furthermore, in contrast to Moloch systems, the cognitive language of Mutual Respect and Open Source / Open Architecture frameworks correspond to the geometry of Non-Zero-Sum economic and social arrangements. 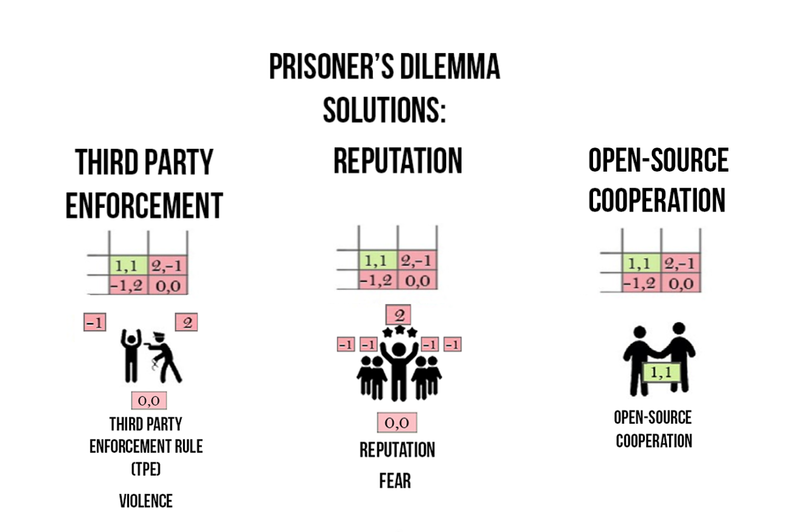 We again consider the prisoner’s dilemma where two players are being interrogated. 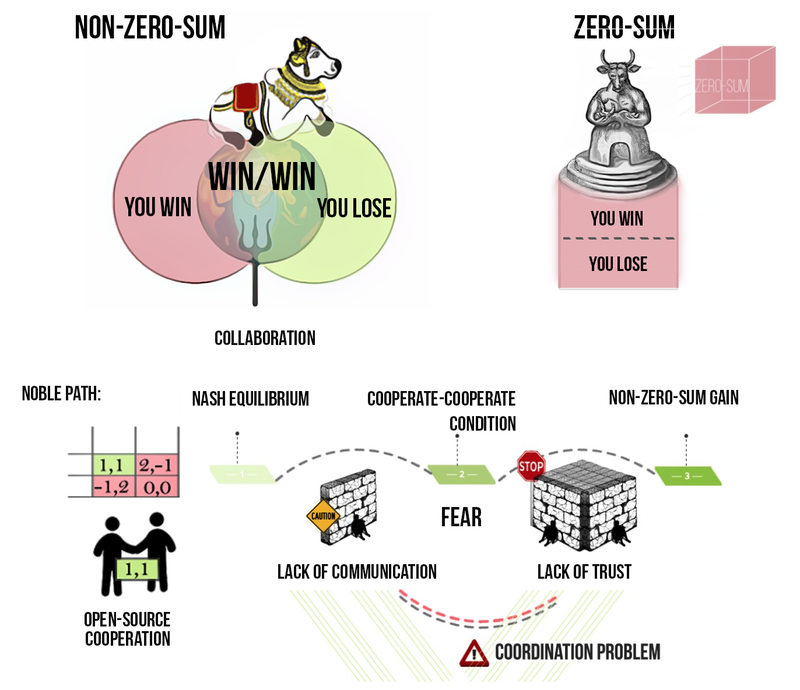 The cooperate-cooperate condition is the ideal solution leading to non-zero-sum gain. It remains in the best interest of each player to not betray the other one. There are two barriers, however, that prevent them from doing so thereby resulting in the obtainment of the defect-defect condition. The following two logical primitives can be described together as the Coordination Problem. The players cannot agree on a joint strategy if there exists a wall of separation between them that prevents them from communicating. And if this first barrier, the great wall, were to be broken, there still exists a fear that your accomplice must cheat after all and betray you, and therefore you are better off betraying them instead. As a result, this fear of being cheated must also be addressed along with the barrier to communicate. The barriers at the network user level incentivize network users to adhere to the Schelling point that corresponds to the geometry of the third party enforcement rule. This enables the formation of centralized governance layers to provide trust solutions that are frequently abused and manipulated by vested interests. Lack of channels to communicate information and establish trust between strangers thus allows for the mimetic persistence of the cognition of the Third Party Enforcement Rule (TPE) or the proverbial Leviathan of Hobbes at all levels of the nation network. The cognitive language of TPE allows the governance layers to increasingly push Forced Network Updates (FNU) at the levels of user cognition, behavior, and contract. For instance, current TPE governance has pushed a global nation network FNU called Fiat, which encodes a Debt-Based Incentive Design (DBID) where the solution for the network users is that of defect-defect. TPE + FNU + DBID is the hidden architecture of zero-sumness at the level of nation network distributed incentive design. The abstract Moloch made concrete. The emergence of information technology and its emphasis on personal freedom have created new vistas for non-zero-sumness. While this solved the communication problem, the lack of trust still prevailed until the Bitcoin solution was instantiated as working software technology in the material world. Crypto based solutions can offer system designs and trade networks that can remain trust minimized even in adversarial environments with uncertain communication. 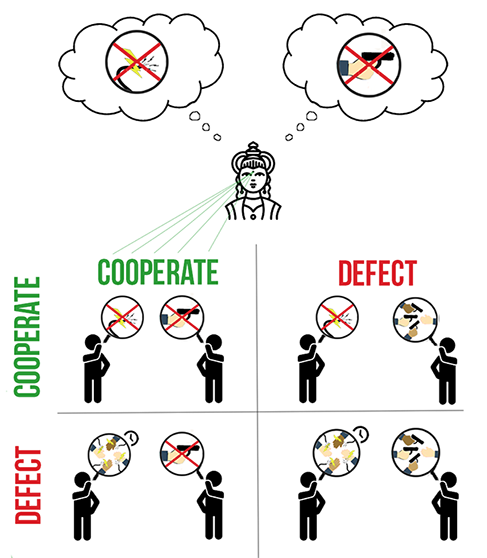 Open-Source Consensus Rules (OSCR) + User-Based Incentive Design (UBID) stripped of the capability of FNU can allow network users to solve the Coordination Problem to obtain the cooperate-cooperate condition for non-zero sum gain despite acting on individual incentives. But in order to change a prevailing extant system, one must first understand the system itself and that it is the nature of the system to resist a change. 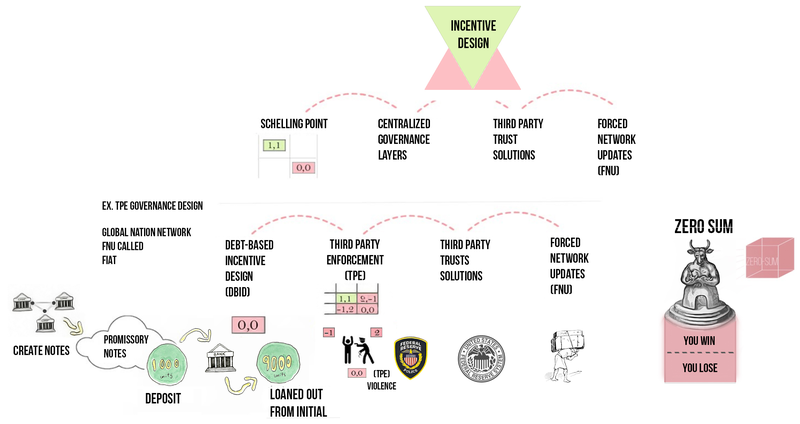 To solve the Coordination Problem, one must first understand clearly (a) how existing third-party enforcement rule systems work to create trust and (b) how the Bitcoin solution and its proposed decentralized governance system can provide a clear advantage to network users over Fiat at the level of incentive design. 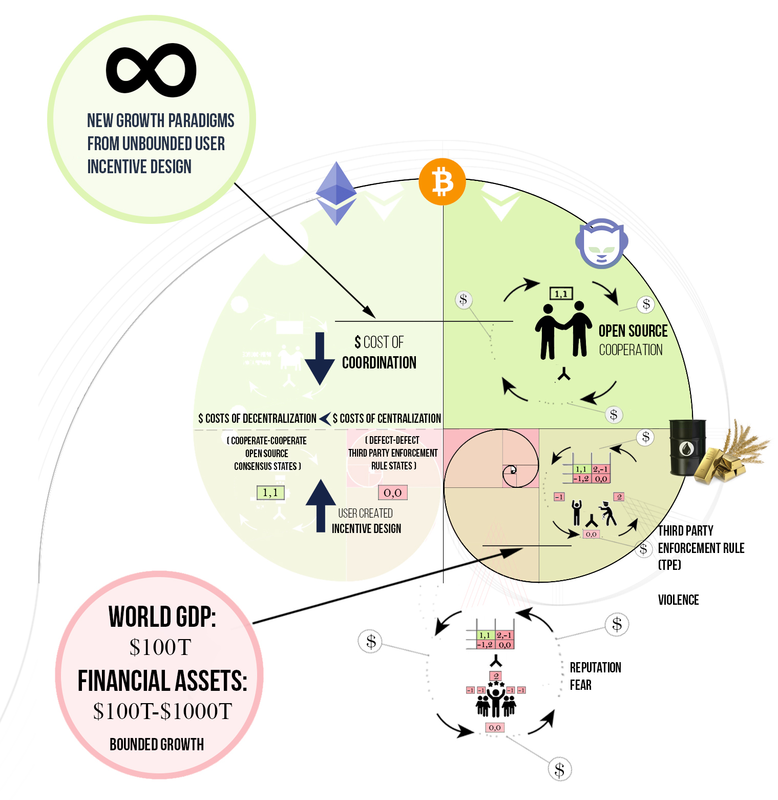 What we found useful in the ongoing viksavaakya is a universal framework that can bring clarity and fine-tune our approach to enable such a transition and successfully create a decentralized economy. We will begin the discussion by shedding light on the concept of money and briefly trace its evolution over the course of history from the viewpoint of incentive design. Then we will introduce the Nakamoto Framework and use it to map the intersections of Fiat and Crypto systems. Common definitions of money, such as a store of value, medium of exchange, and unit of account, define money in terms of its use. Rarely is money defined in terms of its existential reality. Money is an agreement about energy. From a systems level perspective, money is an incentive design choice. More precisely, money is a distributed system with an embedded incentive mechanism design. The evolution of money can be described in three phases. The canonical narrative begins with barter systems where we would trade one commodity for another. 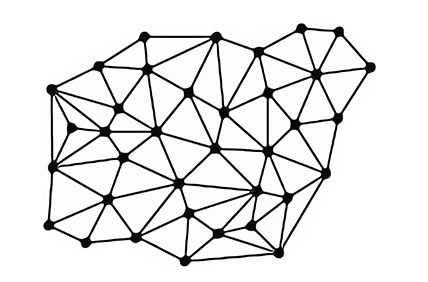 This can be thought of as a distributed bottoms-up mesh network as shown below. Each user can barter or trade goods with every other user in the network through various barter trading pairs. But soon the inefficiencies of this system (double coincidence of wants, the difficulty of transferring value, lack of social scalability) were realized, thereby leading to institutional incumbency to improve the system design. In other words, the aggregate supply and demand curves for various commodity trading pairs in the barter network began to select for more efficient trading geometries. 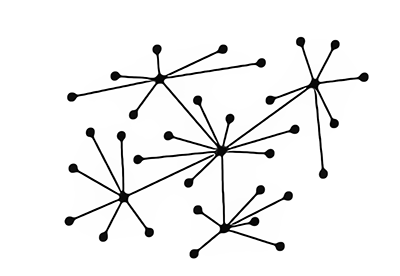 The network of trading pairs began to resemble a hub and spokes model instead of a mesh network. Selection pressure and the constraints of social scalability lead to the emergence of multi-centric supernodes in the network. These supernodes began to offer frequent trading pairs that users often resorted to in order to trade other commodities. 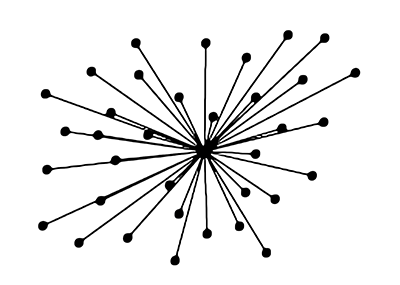 This can be thought of as a distributed multi-centric network as shown below. The supernodes that covered the most frequently traded barter pairs selectively became interested in accepting certain information technologies such as metals, stones, grains, clams, and beads as their incentive to trade other commodities (perhaps for philosophical reasons or perhaps because the places from where these supernodes imported goods only accepted beads or clams or gold as the preferred trading pair, or perhaps because the laws of electrostatics made metals such as gold the most readily verifiable). As the selection pressure increased, technologies such as jewelry and collectibles, metals and beads, clams and legumes all vied to create further incentive design choices for trading various barter or commodity pairs. Thus the technology of money was created. According to the canonical narrative, the technology of money seemed to address the inefficiencies that came with barter or the requirement of double coincidence of specific trading pairs. Meaning that money was stored somewhere safe in a vault by a financial institution, government authority, or some other TPE, and the currency was used as a claim check to redeem the money. This was a form of a custodial solution, wherein governments and banks were responsible for holding custody of the network tokens (money) and issued receipts of claims (currency) against such tokens such that users could trade the receipts for goods and services as needed. Most accounting and balance table operations were satisfied at the currency or token claims level, with periodic net settlement at the money or network token level. Reference is often made in the canonical narrative to the modern “post-gold standard era” as a “scientifically innovative” consensus understanding, which emerged during the 1960s — 1970s and that allowed the global modern economy to scale after World War Two and avoid another Great Depression. In reality, a forced network update was pushed to the global economic system, namely an incentive design choice called Fiat currency that sought to eliminate the distinction between money and currency. “Prior to World War I, the banking system was based on gold and even though governments intervened occasionally, banking was more free than controlled. Periodically, as a result of overly rapid credit expansion, banks became loaned up to the limit of their gold reserves, interest rates rose sharply, new credit was cut off, and the economy went into a sharp, but short-lived recession. It was limited gold reserves that stopped the unbalanced expansions of business activity. The readjustment periods were short and the economies quickly reestablished a sound basis to resume expansion. Over a decades-long period of forced network updates from the gold standard to the Fiat standard, currency stopped to function as a claim check against an underlying money or network token technology but began to exist solely as bank credit. The bank credit currency standard was enforced on every user in the network through the geometry of the centralized third-party enforcement rule, which underlies Fiat governance models. A combination of politics, incumbent institutionalization, and centralized legal tender laws ultimately gave rise to a system design that looks something like this. This system design has been widely adopted by every nation around the world, with each nation network enforcing its bank credit token claims on its users. These bank credit token claims are euphemistically called national or sovereign credit. Current legal frameworks provide protocols and rulesets that govern the movement and operation of these bank credit token claims within the trade network. The USD token claim, for example, acts as the network token to enable a read / write operation within the bank credit custody framework of the USD denominated trade network. This was the official global network paradigm until Bitcoin was proposed in 2009 and became working software technology over the years. This now has given rise to new user based incentive design choices with practical utility value. We can compare and contrast these incentive design choices through an examination of the underlying Fiat Network Topology (FNT) and Crypto Network Topology (CNT). We will commence our study of these two designs from first principles using the Nakamoto Framework. At a high level of abstraction, the lifecycle of a computer program can be sliced into the following five layers. 1) The live program layer consists of the users using the system software. 2) The executable is used to access the system software. 3) The compiler is used to create the executable. 4) The command line is used to issue commands such as compiling the code and deploying the executable or pushing any new updates into the system software. 5) The cognitive language layer describes the mental setup of the person writing the code as well as the manifestation of that mental setup in the developer environment and in the system software. We therefore propose the Nakamoto Framework as a universal framework to understand connections within and between Crypto and Fiat networks, inspired by the fundamentals of computer science. The Nakamoto Framework can be used not only to map and understand the fundamental differences between FNT and CNT but also to study the different layers or subsystems of each of CNT and FNT at the levels of code and incentive design to reveal hidden TPE Schelling points and then refactor and optimize that layer or system for better resiliency against attack vectors. Compare the systems level design of both the FNT and CNT through 1–1 mapping of reduced logical primitives. Understand clearly the advantages of a decentralized economy and what aspects need to be decentralized in order to create such an economy. Think clearly about the scaling problem and explore ways to achieve scaling goals without compromising decentralization goals or network resiliency against attack vectors. Solve for scaling at the level of the contracts layer, and enable more competitive and open trade networks. Refactor existing and proposed Centralized Exchange (CEX) and Decentralized Exchange (DEX) code to include distributed incentive design, and identify and remove hidden TPE based Schelling points. In Part 2 of this series, we will further study the Nakamoto Framework and use it to map the intersections of Fiat and Crypto systems. We will then use these findings to address some of the concerns that exist in the financial industry. Finally, we will look at the current state of the art and how the incentive design of current Crypto systems could be improved to bring about the change that we desire. It is only then that we can begin to refactor the subsystems of these decentralized frameworks to achieve scaling without compromising decentralization goals or network resiliency against attack vectors. There are few direct markets for the various unique alt trading pairs. Instead, most unique alt trading pairs first indirectly move through the more frequently traded alt-BTC or alt-ETH trading pairs. Rocket Scientist who went a little too deep into the Rabbit Hole.